A budget busting championship belt in a classic shield design, offering fantastic value for money. 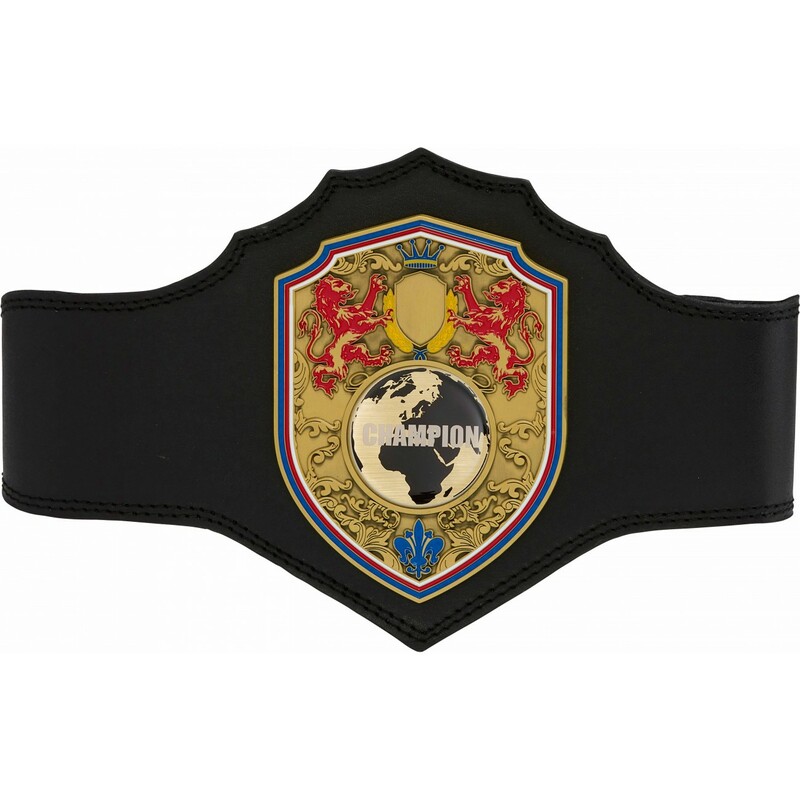 A beautiful championship belt mounted with a high quality, solid metal centre plate in an antique finish with enamel detailing. The strap is made from leather outer and inner board with velcro fastening to fit an approximate waist size of 26'' to 40''. A small shield is available at the top of the plate for engraved text. Up to 20% discount is available at checkout for bulk purchases. All prices exclude VAT.